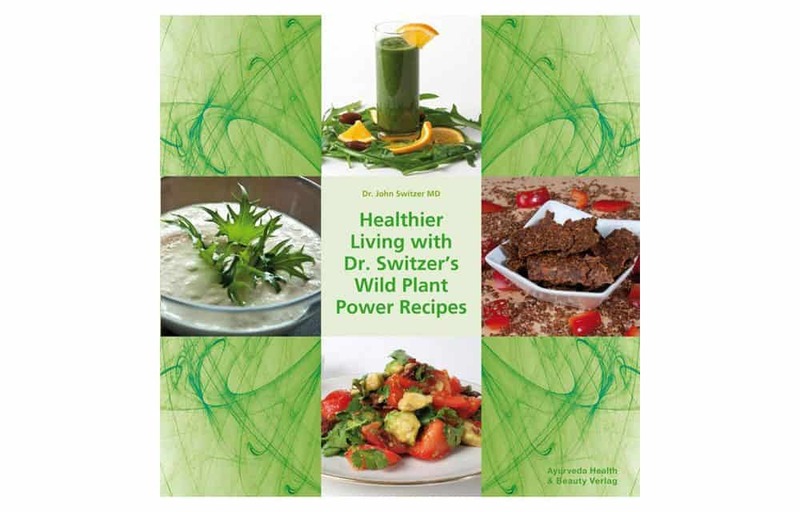 Discover the benefits of Dr. Switzer’s Wild Plant Primal Diet in 51 recipes! 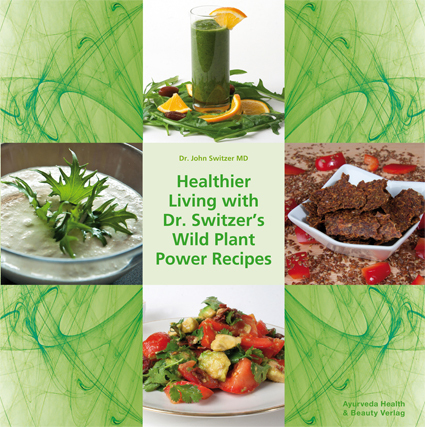 For more than 30 years, Dr. John Switzer has studied the strengths and weaknesses of various nutritional approaches. Most diets today lack important nutrients such as chlorophyll, organic trace elements, bio-photons, probiotics, enzymes and phyto-nutrients. This usually causes food cravings to arise, derailing the purpose of most modern diets. Dr. Switzer stumbled onto his wild plant primal diet while weeding his garden. Instead of placing weeds in a compost bin, he began mixing them together with fruit. Out came a delicious and ­invigorating wild plant smoothie! Not only did the smoothies taste great, the whole metabolism came alive with a big surge of energy. Soon after, Dr. Switzer’s patients were downing wild plant cocktails and eating dandelion salads and nettle seed crackers. Especially patients suffering from degenerative disease – diabetes, heart/circulatory disorders, neurological disease and cancer – seemed to profit from this primal energy dietary approach. The inclusion of wild plants improved the treatment outcome of the ayur­vedic/homeopathic constitutional and detox treatments. Wild plants contain a great abundan­ce of nutrients such as bio-photons and phyto-nutrients, which are often missing even in organic veggies. The power of native plants such as sting­ing nettles, dandelions, goutweed, plantain, sow thistles and lamb’s quarters to heal and satiate is awesome. You can order the book „Healthier Living with Dr. Switzer‘s Wild Plant Recipes“ via your bookstore.